Following their deployment on Operation REASSURANCE a hundred soldiers from the 3rd Battalion, Royal Canadian Regiment (3 RCR) arrived home from Poland on December 11. 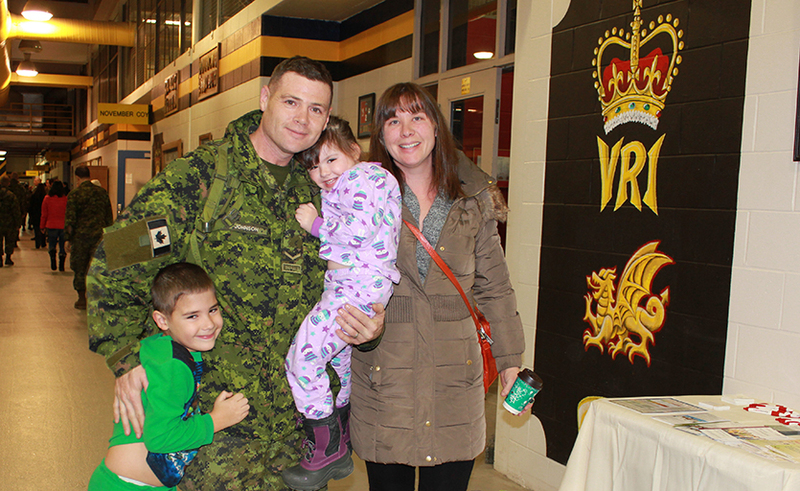 Although a day late, excited family and friends gathered to greeted them at Garrison Petawawa. While in Poland the soldiers worked closely with NATO allies including Poland, Germany and the United States. The 3 RCR Oscar Company is part of 2 CMBG, based in Garrison Petawawa. “A benefit of the mission was the opportunity the soldiers had to garner an understanding of interoperability with their NATO allies. They garnered an introspective look on the standard of soldiering they have. It helped them to grow as soldiers,” explained Dawe. 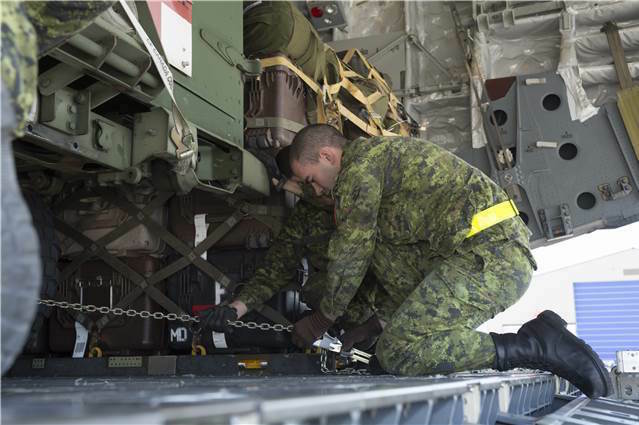 The soldiers returning to Garrison Petawawa had been deployed to Poland for three months. There is a high probability another company will be replacing them in the future. Operation REASSURANCE refers to the military activities undertaken by the Canadian Armed Forces to support NATO reassurance measures through the provision of military capabilities for training, exercises, demonstrations and assigned NATO tasks. Canada is among the strongest international supporters of Ukraine’s efforts to restore stability and implement democratic and economic reforms. Together, with NATO allies, Canada continues to call on Russia to follow through on its Geneva commitments to de-escalate the crisis.